From the role of technology in consulting to the challenges for India in sustaining its growth, Mark Livingston, Senior Vice President and Global Head of Consulting, Cognizant, responds to questions from Assistant Professor, Nishtha Langer. 1. What do you think is the broad role of a consulting firm in the technology domain? Do you foresee a reliance on technology for technology’s sake, or are firms using it more and more to define new business opportunities? Aligning IT with business is among the key concerns of enterprises today. Businesses are being increasingly powered by technology, so much so that banks have started looking like technology companies. We believe that technology alone is rarely the key to unlocking economic value: Companies create real wealth when they combine technology with new ways of doing business. Armed with a deep understanding of corporate strategy and the challenges that are likely to be faced during implementation, our consulting teams are well placed to unlock this value. Our consulting practice focuses on IT, operations, business as well as strategy — not just technology. Needless to say, there are strong inter-linkages between them. 2. 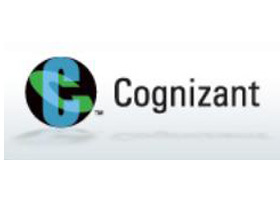 What do you think are the value propositions for a firm like Cognizant? What are some of the challenges and opportunities that you see for Consulting within Cognizant? This might have lessons for Indian firms. The value proposition of Cognizant Business Consulting (CBC), the consulting practice of Cognizant, is uniquely crafted consulting solutions for our customers’ problems. We also take pride in “actionable insights.” In other words, we not only recommend, but also stay with the customers, at their choice, for the implementation of our recommendations. We have also innovated with an onsite-offshore model of consulting execution. The challenge is going to be talent acquisition and retention. Smart consultants are highly sought-after in the industry, not just in consulting, but also in the user industry space. Another challenge is training and apprenticeship. Moulding new talent into consultants calls for extensive training and apprenticeship under principals/partners. The stakeholders we talk to as a consulting unit are mostly from the business. Business customers typically have a different set of buying considerations vis-à-vis their IT counterparts in the technology division. IT managers typically tend to look at cost as a major driving force behind their sourcing strategy. While that objective is changing, the premise still continues to be visible in sourcing situations where business customers are not directly involved. On the other hand, business customers tend to look at the alignment of IT delivery with long-term business objectives. They tend to look at long-term returns on their investment dollars, not necessarily worrying about near-term or immediate cost ramifications. If vanilla IT services are pitched to business customers, they may not see prolonged value in engaging the service provider. To establish and grow our consulting credentials, we need to demonstrate value and a strong thought process. 3. What has your experience been in heading CBC? How has past experience shaped this? There are several unique attributes of consulting at CBC that I did not experience in their full depth and breadth in my earlier assignments. We run a matrix model where individual consulting units have dual reporting lines, one to their own business unit and the other to CBC. Onsite-offshore delivery of consulting adds another layer of complexity. Besides, selling, branding, and building a consulting organisation in an IT services company come with their own opportunities and challenges. Cognizant has an existing client base of over 700 marquee organisations globally, where we need to push consulting as an additional value added service offering. Understanding and tracking business challenges and the related operational and technology imperatives across different client businesses pose a big challenge. One key aspect of building a business that I learnt from my past experience is to hire and empower the best leaders with specialized knowledge and strong customer connects. I spend a lot of time ensuring that the right talent is in the lead, and is set up for success via the right organisational support. 4. What is India’s role for strategic consulting in today’s world? India’s role has primarily been that of a talent source. We have really smart and perceptive people graduating from ISB, IIMs, and so on. Several Indian managers have made their mark at the global level in various user industries, such as banking and telecom. These managers bring with them subject-specific expertise and the experience of building strong businesses in a challenging and developing market. Two of the most important aspects of any consulting business are: Solving complex problems for the clients, and working relentlessly to create strong client businesses. I believe India has the right managerial and consulting talent and skills to help consulting firms achieve these objectives for their clients. 5. India Inc. has been experiencing explosive growth in the last few decades. How do you think India Inc. can sustain its growth pattern? I think several key points have been raised by development economists and planners. For one, massive investments are required to build world-class infrastructure in terms of roads, ports and airports. Inflation management has to be the key. There are several supply-side bottlenecks that need to be addressed. Managing high growth alongside rising food prices will be very difficult and possibly beyond the realm of basic monetary measures. India needs strong economic reforms, which focus on creating more efficient supply chains and foster a conducive business environment. Obviously, lesser bureaucracy will help in a big way. Human development is another area that needs attention. Apart from improving overall literacy levels, the quality of higher education will need to be improved beyond the IITs and IIMs. India already has very strong public institutions, a qualified judicial system, and a proven and stable democracy. Structural reforms that align these strong institutions with the changing social, economic and political realities of an integrated world will help India Inc. maintain a steep growth trajectory. 6. What are your views on technology usage in the emerging economies? What differences do you see between developed and BRIC nations? While technology use is widespread in the developed world, companies and governments are still going through several stages of technology upgrades. BRIC, in general, and India, in particular, will have the advantage of starting with appropriate technologies for the most part on day one. But massive investments will be required to convert all aspects of public services that may not be top priority for some of the BRIC nations. Yet, opportunities abound in the private sector; some of the largest technology outsourcing deals came from BRIC nations in the past 2-3 years. 7. What are your views on cloud computing? How does it impact firms like Cognizant, not only in terms of new markets but also how it shapes what CBC would advise its clients? We believe that the current economic climate will foster greater adoption of the Software-as-a-Service (SaaS) technology, and the SaaS market may see continued growth, not in spite of, but because of the macroeconomic slowdown in the West. The value proposition is just too strong to ignore and the barriers to SaaS adoption — including integration, security and customization — are being addressed. There are fewer technical reasons to not look at SaaS and the business value in lower upfront investment, lower risk, faster time to value, and faster innovation cycles cannot be ignored. The most compelling aspect is the ability of SaaS technology to not only facilitate, but accelerate business activities that in the past would have taken years to accomplish — for example, assimilating acquisitions, changing business models, penetrating new markets, and so on. The delivery costs of SaaS are lower and the pricing model more client-friendly versus on-premise solutions. SaaS also allows for more organisational efficiencies. For example, IT managers are able to offer more strategic value to organisations in the form of process management and innovation, rather than spending time on system and hardware maintenance. This time it will be real, unlike the earlier ASP version. Of course, we will still need to work through issues around data privacy and local regulations. Companies cannot afford to keep on upgrading infrastructure and rebuilding applications without embracing the best in the industry. Increasingly, companies are realising that it is better to focus on their core competencies and leverage the best of the best through Cloud for contextual services. We see this as one of the Top 5 consulting themes and offer services on Cloud strategy, design, implementation and migration. 9. How do you think consulting firms should collaborate with institutions like ISB? What partnership opportunities do you see? We have done a great job in fostering industry-academia collaboration. We do not view this as a one-time recruiting relationship, but a continuing engagement. There are several opportunities around joint case development, developing and teaching consulting-oriented courses, conducting smart business plan contests, and getting involved in other events. We have used some of the smart business plan contests as our idea factories. We have taken them seriously and evaluated them for real-life use.